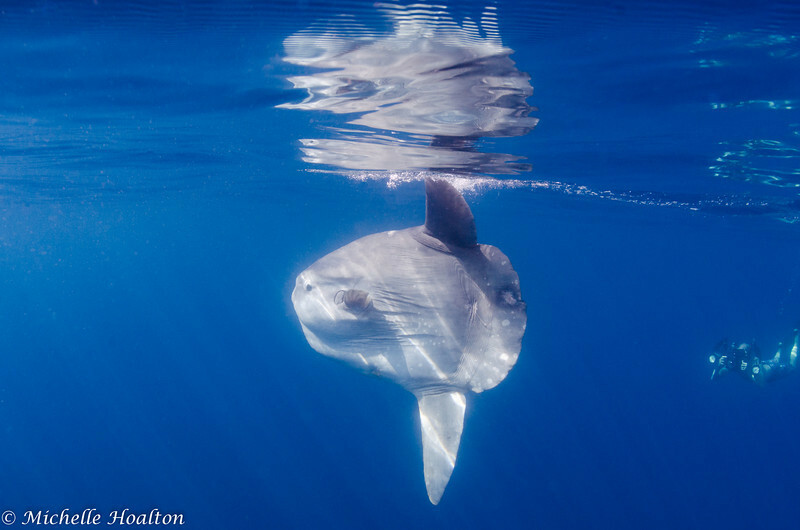 Most mola molas, or sunfish, I have seen have been spotted from a boat as they laid horizontally across the water's surface. This time we spotted a fin and decided to hop into the water on snorkel to inspect further. You can see another photographer in the background coming in for a closer look.